I confess that I left my purse at home this morning and my ONLY thought was "How am I going to get my Starbucks?" 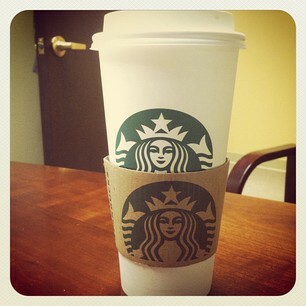 Thank goodness for my Starbucks App on my iPhone. I confess that I turned around and went back to Starbucks this morning because I swear they gave me black coffee topped with whipped cream. What is up with that? When I pay THAT much for a cup of fancy coffee (if you can call it coffee with all the extra stuff in it), I want what I ordered. I confess that I judged a few people at my church festival tonight...so NOT the place to be judgmental, huh? But, I am sorry...it was just too easy. 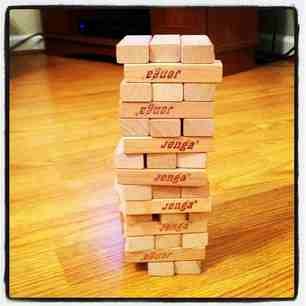 I confess that for some reason it takes me DAYS to put away the Jenga game after my nephews come to my house. I swear every other toy is back in the toy closet (yes, I have a toy closet but no children) right after they leave but I leave Jenga in the middle of the floor for days. Is it a game OR an art piece? 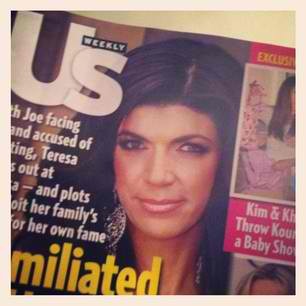 I confess that I am very excited each Friday when I reach into my mailbox and pull out US Weekly! Gotta love 30 minutes of mindless entertainment. I don't think I have ever read an actual article from start to finish in the magazine but I do love the photos! Linking up to Friday Confessional over at A Blonde Ambition this week.